Just when you thought San Diego Mayor Bob Filner couldn't get any creepier, two military veterans, Eldonna Fernandez and Gerri Tindley, have now joined the 11 women who have publicly accused Filner of sexual harassment. Six other members of the group have also claimed to have had similarly uncomfortable encounters with Filner, but have chosen to remain anonymous. Representatives of the group suggest that Filner attended these events to prey on vulnerable women who would be unlikely to challenge his advances. Fernandez is providing a voicemail recording as evidence, in which Filner introduces himself as "the one who fell in love with you at your last speech" and asks her on a date. 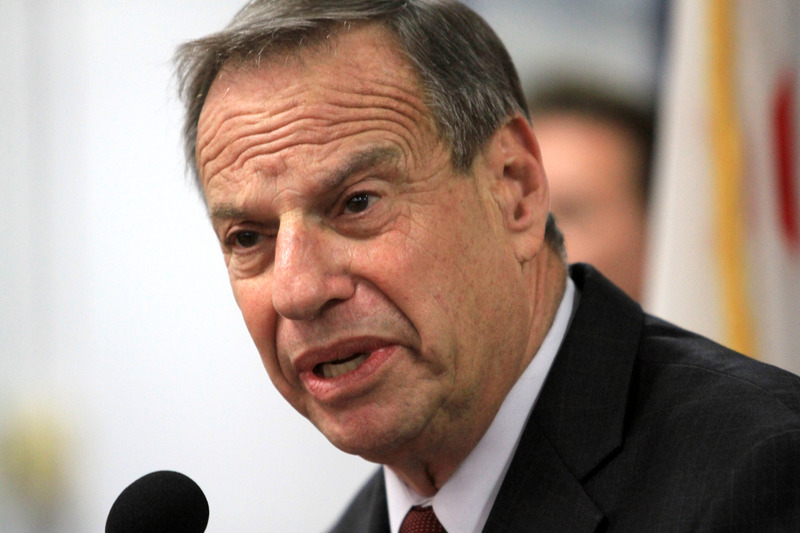 Other women claim that Filner's actions went beyond the verbal. The 70-year-old has been accused of groping and forcibly kissing women both in and outside of the workplace. Filner is refusing to comply with requests that he step down from his position as mayor, despite increasing pressure (and a recall effort) from his constituents, activists, and the media.